Our founder, Alice Spencer Geddes Lloyd, lived and served forty-five years after she came to Kentucky, intent upon producing well-educated, purpose-driven leaders for Appalachia. We continue her mission today, knowing that the need for mountain leaders is still great, as much now as ever. This small, private college in the hills of eastern Kentucky accepts no direct federal, state, or local funding, but provides each of its qualified Appalachian students with as generous a financial aid package as students are likely to find anywhere — no out-of-pocket costs for tuition. In exchange, our students dedicate themselves to lives of service, working a minimum of 10 hours per week in our Student Work Program, which also helps to cover education costs. Over half of our graduates are the first in their families to receive a four-year degree. Many of them go on to graduate or professional school, receiving continued financial assistance from the College as they pursue advanced degrees. Our programs have provided teachers, doctors, lawyers, engineers, and so much more for this region — leaders who can bring about positive, lasting change. This extraordinary opportunity is made possible by the generosity of our “friends,” those people who financially support our unique mission. We invite you to explore these pages and discover why we deserve your support: there is simply no other place like this. Perhaps you will be the next friend of Alice Lloyd College! From a young age, Jacquelyn Crawford has possessed a servant’s heart. Jacquelyn is a senior Biology major at Alice Lloyd College, who is involved in numerous activities on and off campus in hopes of making a difference in people’s lives. Benny took his first walk along the Purpose Road in the fall of 1982. For many years, he and his wife Betty toured Appalachia to take in the beautiful autumn scenery. 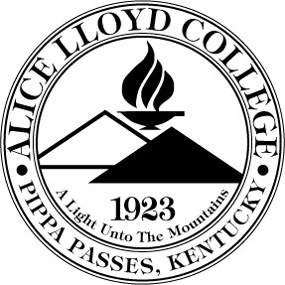 A young lady gave them a tour of the campus, and they were immediately taken with the mission of the school and type of students Alice Lloyd College attracts. 2017, Benny came back to ALC’s campus and had lunch with that same young lady, 35 years later.